Given my longstanding affinity for the shoulder and treating shoulder conditions I thought it was about time I jotted down a few general musings about the shoulder and why I enjoy working with this part of the body in particular. These bones are connected together via the glenohumeral joint (ball & socket joint) and the acromioclavicular joint (joint between collar bone and shoulder blade). In addition, the body of the scapula connects to the back of the rib cage via soft tissue and muscle connections and the clavicle to the sternum (breast bone) via the sternoclavicular joint. 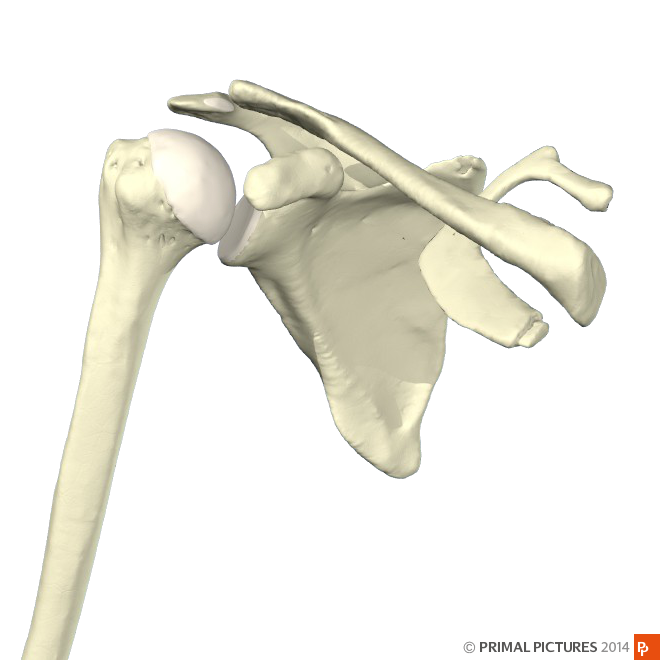 Unlike the hip, where there is a very deep socket, the shoulder socket (known as the glenoid) is very shallow. This, coupled with movements offered by the scapula and clavicle, enables the tremendous range of movement humans can demonstrate in the shoulder region. This amount of bony interplay of course requires a significant amount of support from muscles. 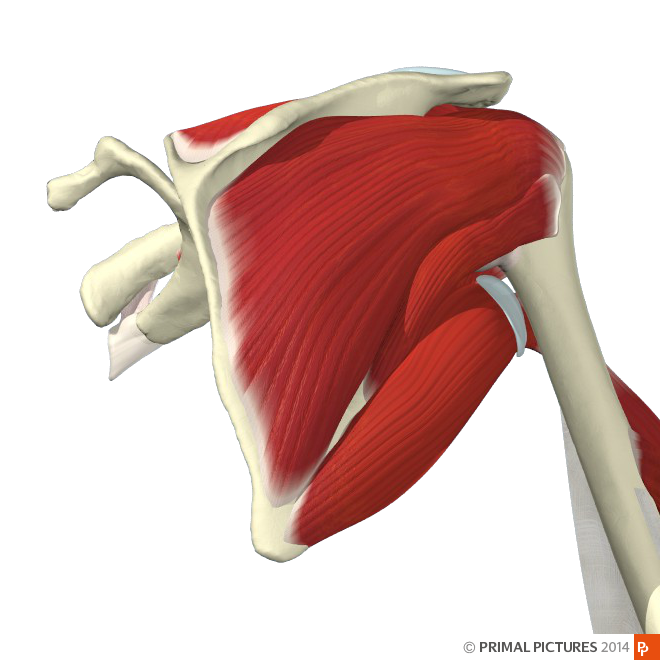 Each shoulder has around 20 individual muscles depending on how you classify each muscle – either way it is a lot! The shoulder however does not function in isolation from the rest of the body and for the most part, all the functional activities mentioned above require the shoulder to operate in a co-ordinated fashion with the rest of the body. Think of getting a glass from an overhead cupboard; or simply pulling a door open; or the tennis serve: all of these activities require varying degrees of movement and force to be generated and transferred from the legs and the torso in addition to shoulder, arm and hand movement. Furthermore, the shoulder, and indeed arguably the rest of the body, is very frequently a slave to the hand. We need the hand to be directed toward a target (cup, bag, door handle) or to hold onto an object while throwing, hitting or lifting. 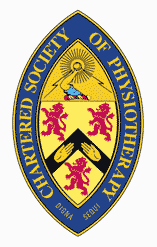 Another interesting consideration in contemporary physiotherapy practice is the influence shoulder problems have on our psychological status, and indeed on how our psychology can influence function. There is lots of exciting cutting edge research demonstrating this important consideration in human function. While this may seem like some (hopefully interesting!) rambling, it does form the basis of how I would approach working with anyone with a shoulder condition. I think it is very important to consider biological, anatomical, and biomechanical factors, alongside the individual person and how they desire to use their shoulder and also what impact perhaps having a shoulder condition has on their life specifically. For example, two people may attend the clinic for assistance with a shoulder problem which may be given the same diagnosis (i.e. rotator cuff related condition). Person one is a 21 year old scholarship tennis player who experiences pain when serving but at no other time. While the issue is frustrating, they can continue to train and their coach is very accommodating and is keen to facilitate a full recovery. Furthermore, his scholarship is secure for the following 3 years and there is no immediate financial pressure. 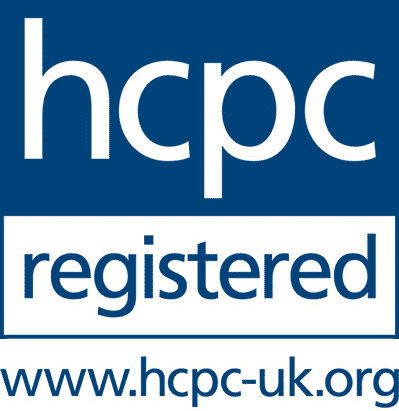 Person two is a 48 year old self-employed joiner who cannot undertake the basics of their job due to their shoulder pain. The pain is also keeping them awake at night and they are now concerned about the implications this condition may have on their ability to work and earn money. 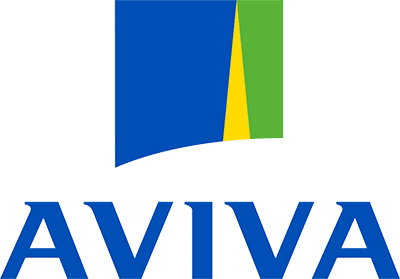 It is clear to see from these examples how these people have an entirely different set of circumstances surrounding their shoulder problem, despite them having the same diagnosis. This is why ‘Dr Google’ can be problematic as unfortunately these circumstances aren’t taken into consideration! As the saying goes: “treat the person not the problem”! When working with shoulder issues, some may view this complex anatomy, biomechanics, co-ordination and psychology a little daunting, however I have always seen it slightly differently….these are lot of opportunities to positively influence the shoulder. 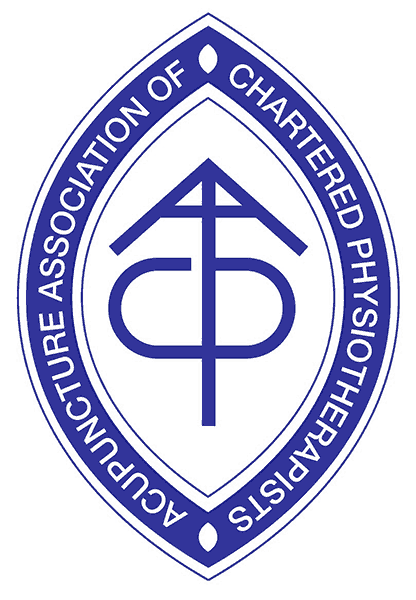 One of the great things about being a physiotherapist with an interest in the shoulder is that the scientific evidence to support physiotherapy treatment for shoulder conditions is pretty strong. The majority of this evidence is in favour of an exercise-based approach, however in the coal-face there are certainly lots of other options that can be of benefit to individual patients, such as manual therapy (massage and joint mobilisation) and the use of taping alongside a well-constructed exercise program. Of course there are a huge number of different types of shoulder conditions ranging from pain related to the rotator cuff tendons, a frozen shoulder, dislocations and unstable shoulders, and arthritis to name but a few. Discussion of specific conditions would be too lengthy for this blog but you can read more here, and I will try to write another blog on specific conditions soon. 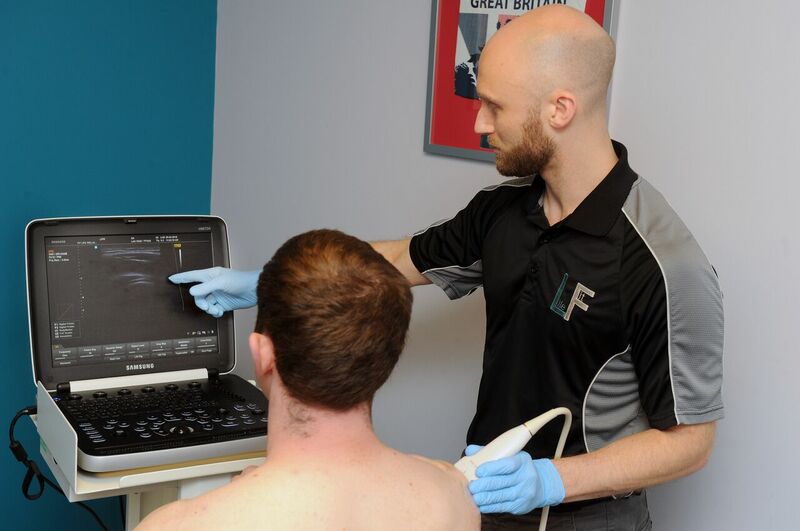 Over the past few years I have been working hard to develop some advanced skills in the form of Diagnostic Ultrasound Scanning and Injection Therapy. 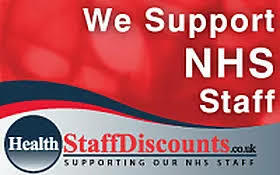 Having obtained the relevant qualifications I now regularly perform both diagnostic scanning and ultrasound-guided injections. While I offer these scans and injections for an extensive range of both upper and lower limb conditions, they are of particular benefit in the shoulder. Ultrasound is an exceptionally useful form of imaging around the shoulder and is considered the gold standard for tendon imaging. The soft tissues and much of the bony structures can clearly be visualised and allow a great deal of additional information to be obtained. Furthermore, while there are multiple conditions of the shoulder that may be conducive to injection therapy, it is of particular benefit in Frozen Shoulder. 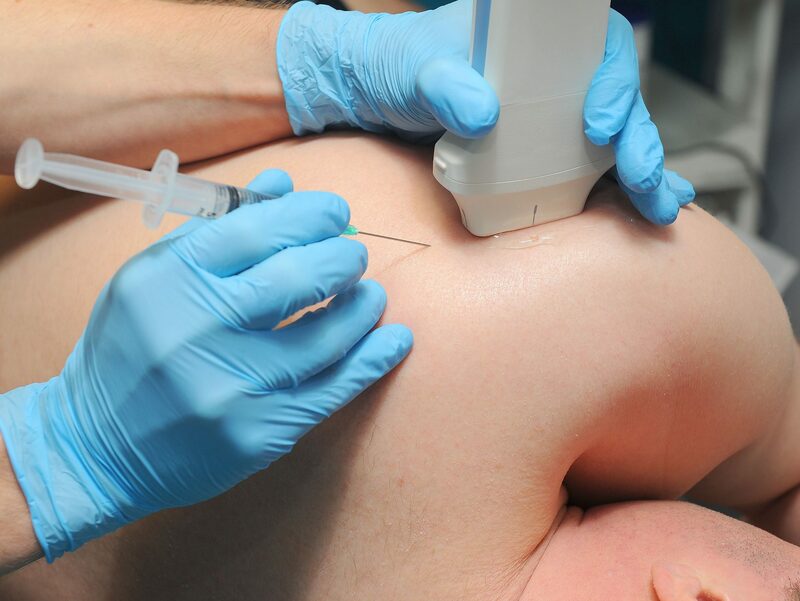 Both steroid injections and a specialised injection procedure known as hydrodistention or hydrodilitation have very good outcomes for the majority affected by Frozen Shoulder. Being able to perform these injection procedures has transformed my management of Frozen Shoulder and it is really satisfying to see the great benefits it brings to those patients. I could go on for pages and pages but I think that is enough for now. 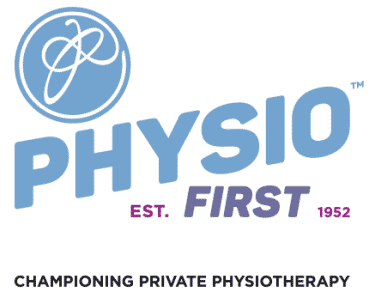 So, in summary, shoulders are functionally incredible, interesting, and fun to work with as a physiotherapist given the extensive range of options we have at our disposal. However the most important factor, always, is to remember that shoulders are attached to human beings and they take priority!